(Buenos Aires). Photos. Framable Color Prints and Posters. Digital Sharp Images. Aviation Gifts. Slide Shows. 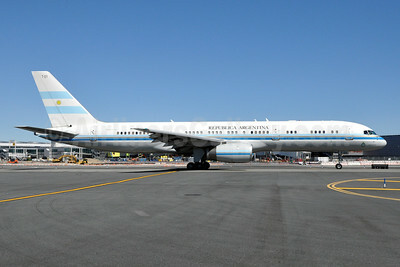 Republica Argentina Boeing 757-23A T-01 (msn 25487) JFK (Stephen Tornblom). Image: 920656.